Combine butter, truffle spread, sun-dried tomatoes and pepper to taste. Mix until uniform. Form into a log and wrap in plastic wrap. Refrigerate until ready to use. 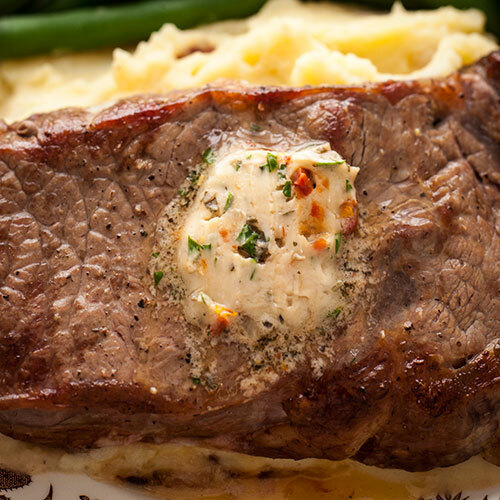 Slice and serve on a steak after broiling or grilling, on top of mashed potatoes, or toss with hot pasta to taste.